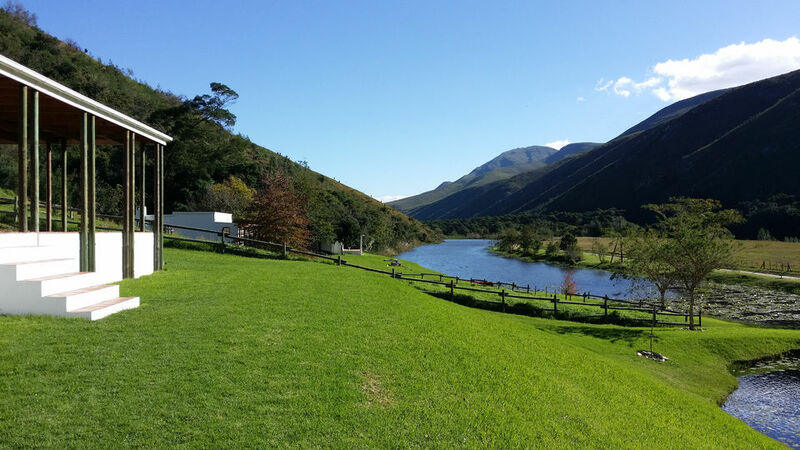 This 5-night annual end-of-year retreat (Friday evening – Wednesday lunch) is suitable for beginners as well as experienced meditators and will be held in a contained and nurturing atmosphere of contemplative silence at the very beautiful Somerset Gift Getaway Farm near Swellendam. Drawing on the wisdom of Buddhist psychology and meditation practices which cultivate calm and tranquility, we will unify our fragmented hearts and minds and experience greater wholeness. As we learn to embrace our humanness with loving-kindness (metta) and compassion (karuna), we can move beyond our habitual, perfectionistic patterns, which cause so much suffering through judgement and self-abandonment. We will access an expansive and integrated body, heart and mind, and develop the courage and trust for a more authentic expression of who we are. This allows us to act from a place of compassionate wisdom, rather than from fear, shame and self-doubt. This healing and transformative process will be supported by the silence and the stunning mountains, forests and rivers around us. To enhance the integration of body, heart and mind, daily sessions of qigong movement meditation will be offered, as well as relaxing yoga and massages as optional extras. There will be time for restorative rest, as well as mindful swims, silent walks, runs or bicycle rides along the river or through the beautiful forests and mountains. Sue will also offer short, individual sessions which will provide additional emotional containment and insight during the retreat. Delicious vegetarian and vegan food will be savoured in silence, as part of our integrated practice. A once-off, pre-retreat individual session is required if you haven't yet had one with Sue, to provide greater containment. This enhances and deepens the silent retreat experience for yourself and for the group. The additional session fee of R750 is fully covered by Medical Aid or will be reduced if necessary, if you do not have cover. CPD accreditation for psychologists and other HPCSA registered professionals: 42 General CEUs have been granted. Bookings: sue.stillmind@gmail.com or use the button below. A deposit of 50% to 75% of the Food & Accommodation fee confirms your place, R1500 of which is non-refundable. The remaining balance can be paid off monthly and settled in full by the beginning of December. Longer payment plans are available on request. If all the accommodation is fully booked or by special arrangement, camping with your own tent etc. will be an option.